I guess I kind of am excited for fall. I look young enough to go trick or treating. I could totes pass for a 15 year old. BUT I need to refrain. I do, however LOVE haunted houses. Does anyone know of any in Utah? Not the ones people make themselves, the real live really real haunted ones. The abandoned ones. There's gotta be one. Or twelve! I may have just made that up. Who would tip Luna bad? p.s. don't forget to enter the giveaway! ends Friday! haha i love that you are going as Luna! I think you will sport it well. I'm excited to get to some haunted house soon! You would be a perfect Luna!! I can't wait for spooky things this halloween! you should definitely go with Luna! :) can't wait to see the outfit! 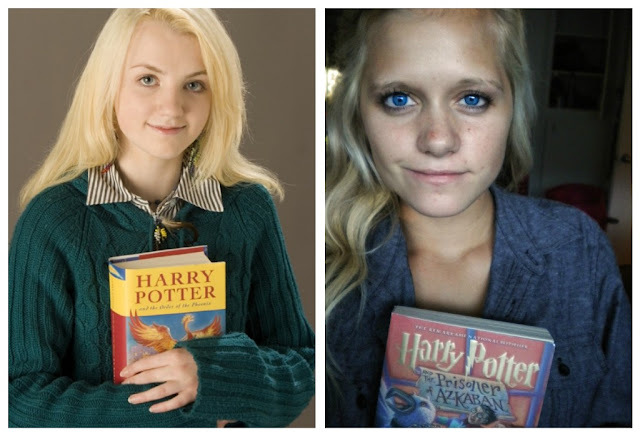 Wow, you make the perfect Luna! Excited to see your costume. There's a legit haunted nunnery in Logan. It's supposedly where they kept a bunch of nuns who got pregnant and then forced them to drown their babies. I hear its really freaky! !